Manufactured in TaÃ¯wan from 1998 until after 1998. Portrait: The camera chooses the focal distance, recadre on the principal subject (face) and decreases the intensity of the flash. Scene of night: Catch of view, on tripod, carried out in two times and overprinting: the 1st time, background cut flash and the 2nd time, foreground with long flash. Its autofocus system is very precise, because with 1024 stages. It is equipped with an “infinite” mode which makes it possible to block it, so, for example, to photograph through a pane. 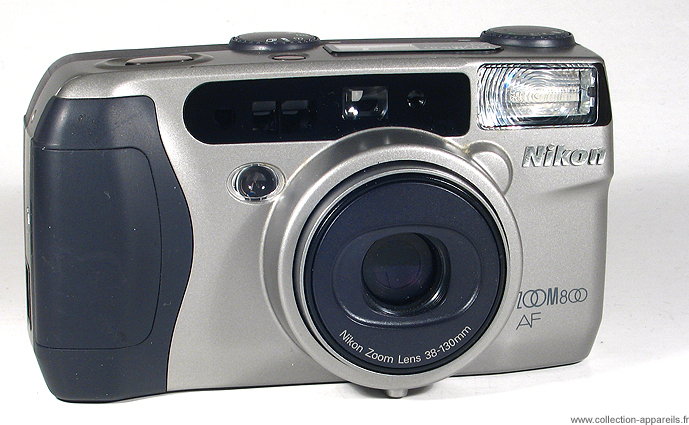 Its flash is particularly powerful for this category of camera. The fill-in is automatic in the event of back-light with less than 6 meters. The objective has a complex optical formula. Certain lenses have aspheric faces. The film is pre-winded with the loading to limit the damage in the event of inopportune opening of the back. Its ergonomics is very good. An embossing ensures a very good holding in hand. Two “wheels” fall well under the thumbs left and right. The adjustments are well arranged there. That of left hand makes it possible to determine the programs result or the Spot autofocus system. The pictograms are backlighted. The price of this camera in 1998 was of 1990 francs.